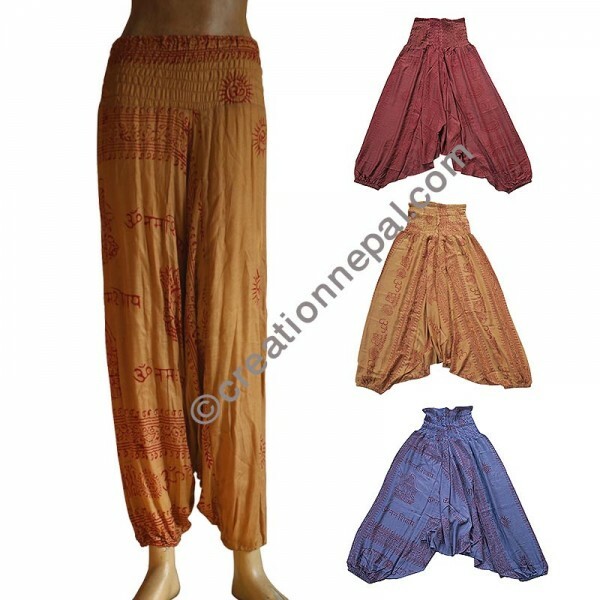 Elastic-waist printed ramnami rayon Turkish design trouser supplied in color assortment. We normally have 4-5 different colors and it may be the same colors as it is shown in the picture or there may be in other colors if the shown color is not available. Since the product is entirely handmade, there can be slight variation in color and other described detail.